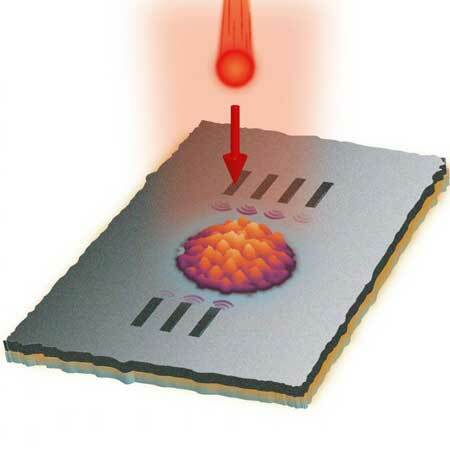 Scientists have used X-ray vision o observe the degradation of plastic solar cells. Their study suggests an approach for improving the manufacturing process to increase the long-term stability of such organic solar cells. Researchers have developed antireflective structures capable of suppressing visible light at different angles of incidence - with potential for solar cells. 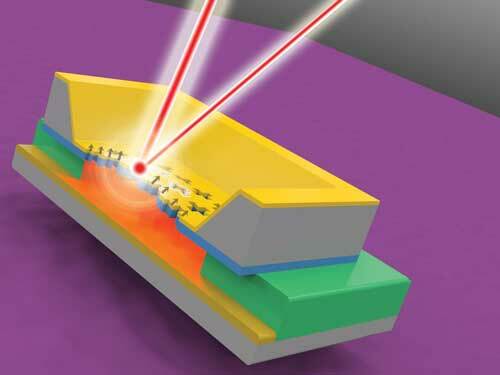 In a breakthrough for future optical-electronic hybrid computers, scientists have developed an ultrafast technique that can track light and electrons as they travel through a nanostructured surface. 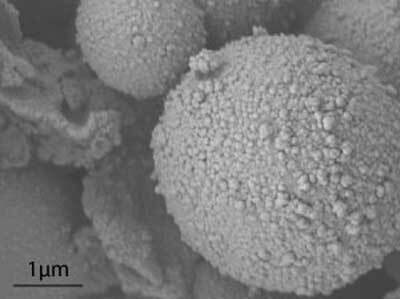 Lithium ion batteries may benefit from porous amorphous silicon anodes. Researchers used an advanced scanning transmission electron microscope to measure isotopes in nanometer-sized areas of a graphene sample. The same energetic electrons that form an image of the graphene structure can also eject one atom at a time due to scattering at a carbon nucleus. 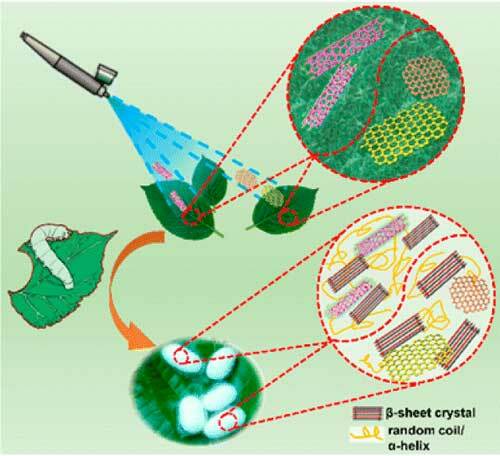 Scientists fed the silkworms mulberry leaves coated in a solution that contained graphene in order to create the material. Applications for the material created include wearable electronics, durable fabrics and biodegradable medical implants. 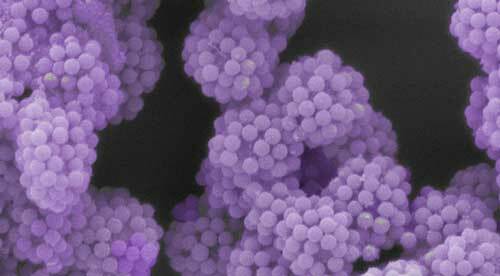 Researchers have developed a nanoscale engineering method that transforms tiny particles into 'LEGO- like' modular building blocks. 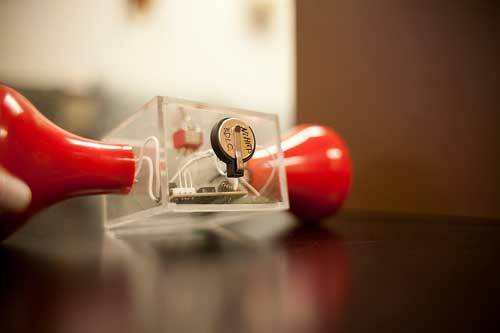 Researchers succeeded in improving the energy density of a rechargeable battery without increasing its size. 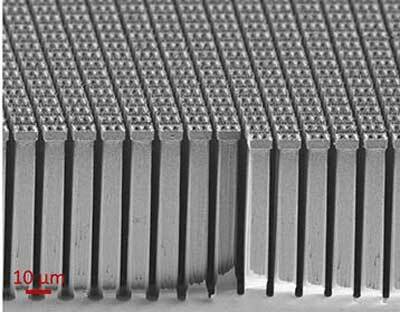 This feat was achieved by developing a 3D structure made of microtubes, the first step towards producing a complete microbattery. Technology may be able to succeed where hard-working volunteers have failed in the past. Researchers are using nanotechnology to turn an oil spill into a floating mass of brown jelly that can be scooped up before it can make its way into the food chain. 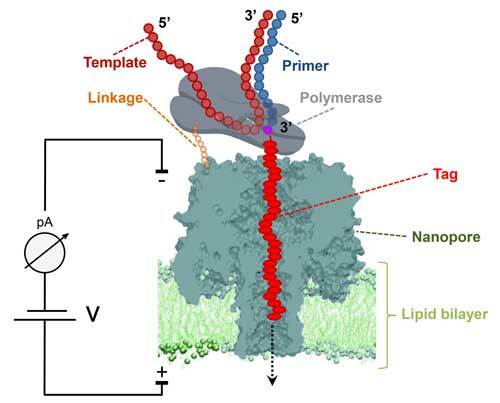 Researchers have developed a new electronic DNA sequencing platform based on biologically engineered nanopores. 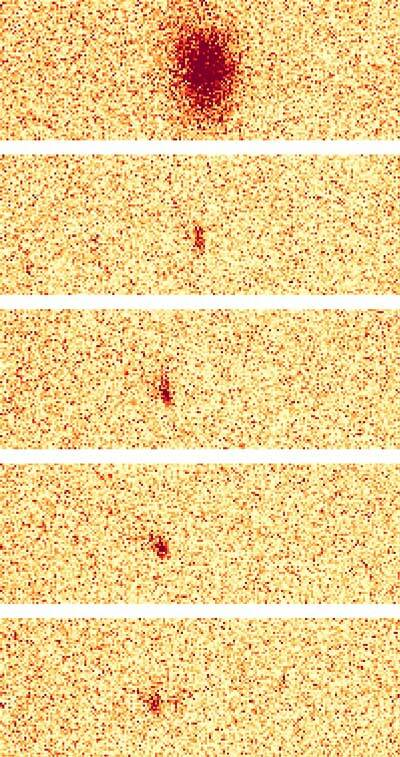 Electrons are far too small and fast to be seen, even with the help of a light microscope. 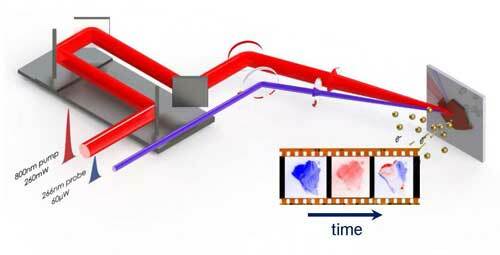 This has made measuring an electron's movement very difficult for the past century. However, new research has made this process much easier. In a combination of experiments and theory the diffusion of individual atoms in periodic systems was understood for the first time. The interaction of individual atoms with light at ultralow temperatures close to the absolute zero temperature point provides new insights into ergodicity, the basic assumption of thermodynamics. 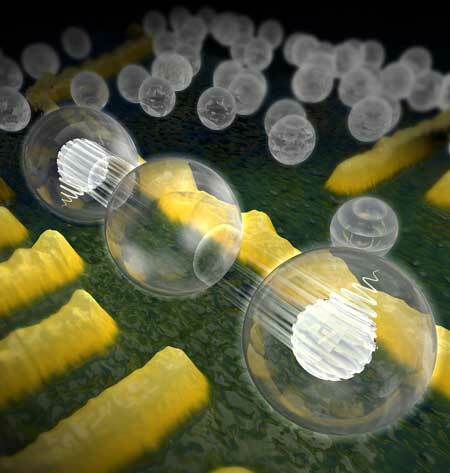 Scientists have succeeded for the first time in enabling two non-neighbouring quantum bits in the form of electron spins in semiconductors to communicate with each other. 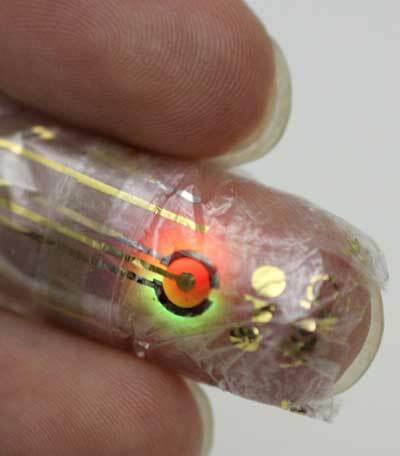 One day, your latest gadget won't be in your pocket like a phone or even wrapped around your wrist like a smartwatch, but stuck to your skin like a transparent plaster.